The market is like a battlefield where bombs are falling. I do not know which side is north, south, east or west. Gold: It is hard to know whether gold prices will go up or down. What we can say at this point is that gold prices are not easy to rise. The silver prices are weak. $ 15.63 and $ 15.78 are important. The market is likely to be noisy next week. Euro: The euro is going down as expected. It is likely to fall further next week. However, it is hard to know how much it goes down. Euro is not good for trading. USDCAD is rising as expected. I will hold the buy-position. 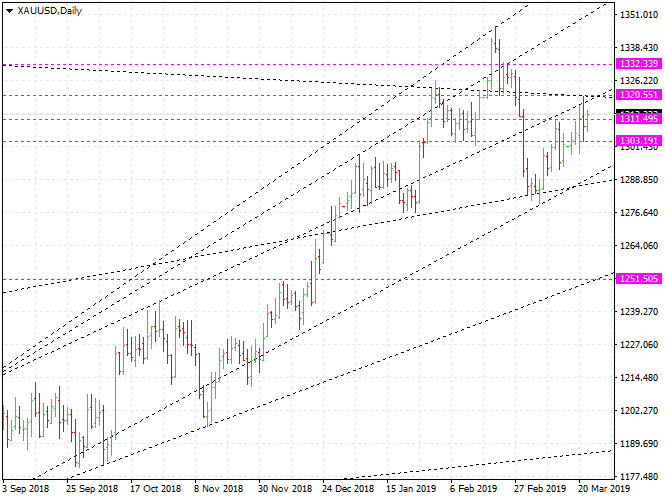 AUDCAD will fall. However, it does not look good. SP500: The stock indexes seem to have been bombed. Next week, stock indexes are likely to decline. Dow Jones is the weakest. We could think of selling the Dow Jones index futures. However, it is not the beginning of the downward trend.